The Kulunda Steppe is a typical example for a conversion region in temperate grasslands. From 1954 to 1963 approximately 420.000km² of the steppe area was converted into large-scale intensive agriculture. The large-scale intensive farming of the Kulunda steppe of the last decades proved to be inadequate regarding to its regional environmental heterogeneities. 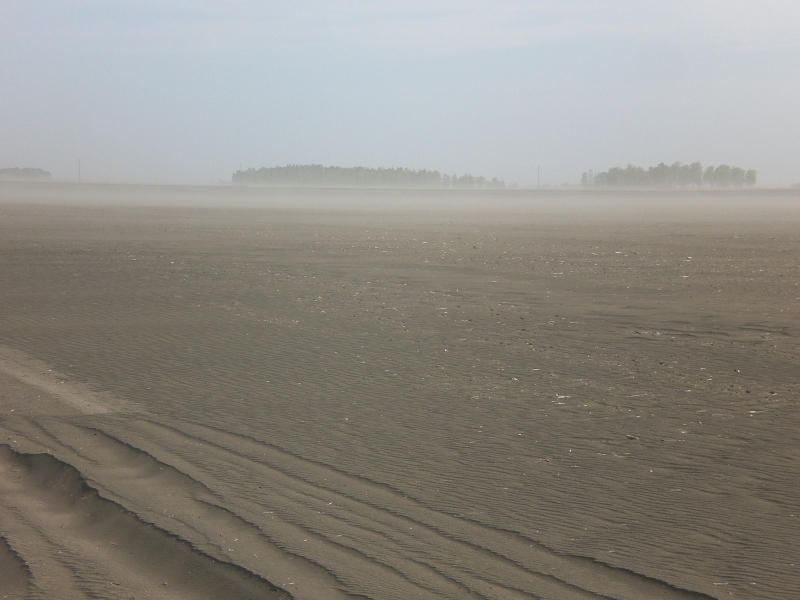 The consequence is a widespread soil degradation caused by erosion, decreased top soils and humus content, and therefore, a decreased concentration of sequestered carbon. The soil water and nutrient regime is unfavorably affected, the fertility is declining, and a decreased yield of crops is the result. 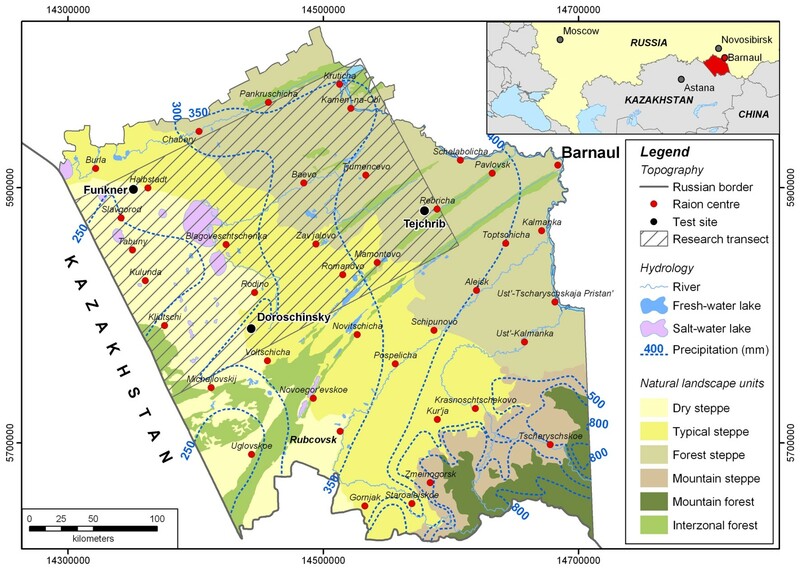 To both improve our understanding and develop methods to quantify the process of water balance, carbon cycle as well as soil and vegetation degradation under the current crop production systems practiced in Kulunda as an example for the Eurasian steppes. To help these soils become a carbon dioxide sink rather than a source thereby, giving the region a positive role in the worldwide concerns of mitigating climate change. KULUNDA aims at guiding the ongoing transformation process towards more sustainable land management practices. We expect that KULUNDA will serve as a model for other converted areas of the Eurasian steppe region. The map shows an overview about the landscape unities of the study area.